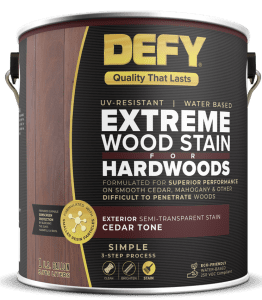 Update for 2019: This is our initial Review of the Defy Solid Color Wood and Deck Stain. This review will be updated through the years. 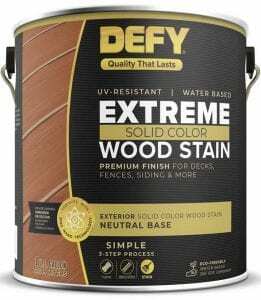 The Defy Extreme Solid Stain is an excellent choice for a solid color wood and deck stain. 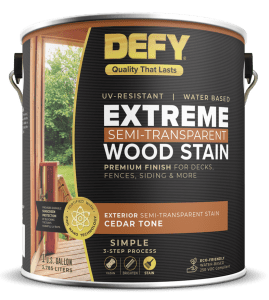 As always, we appreciate your input, so feel free to leave a comment below and pictures of your completed projects using the Defy Extreme Solid Stain. 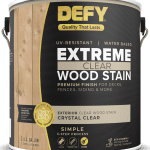 Summary: DEFY Extreme Solid Color Wood Stain is a synthetic-resin, opaque wood and deck finish that helps protect against water, mildew, mold, algae, and UV radiation on exterior wood surfaces. This V.O.C. compliant water-based product provides a beautiful finish, fortified with transparent “oxide” based Nano Particles. 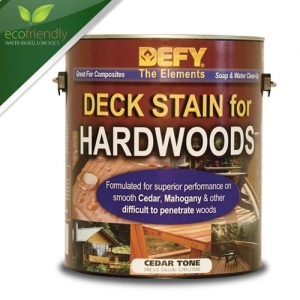 There are over 30 TRILLION nano-particles per square inch that provide extreme protection for your wood by blocking out the sun’s harmful UV rays, moisture and fungal growth. 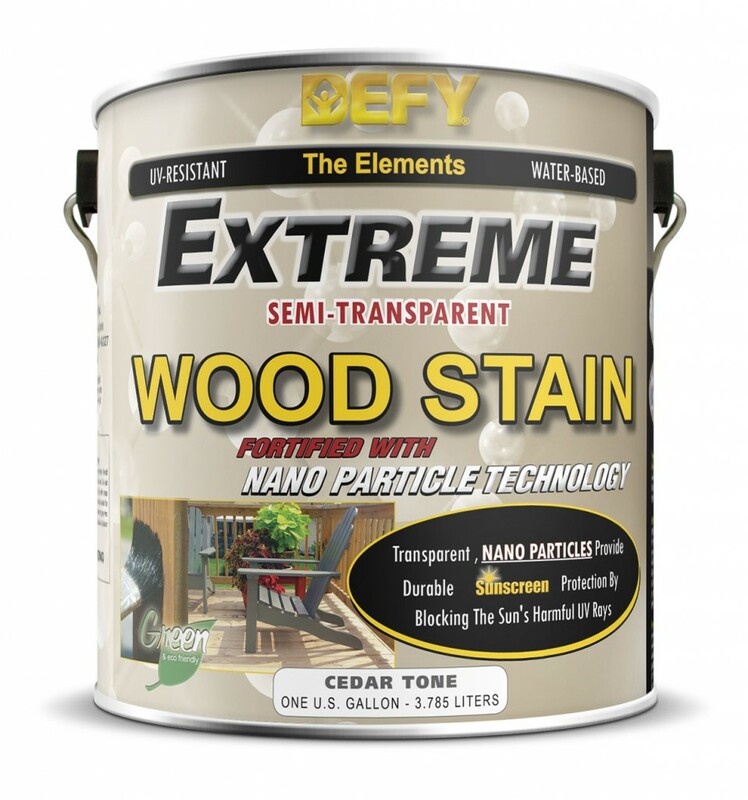 – The DEFY Extreme Solid Color Wood Stain in the custom-mixed Redwood color has a beautiful finished appearance. 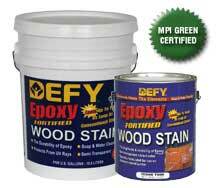 Coverage was excellent and the grain of the wood was completely covered, which is the nature of solid opaque stains.